Item Number: 524-3-130 19097 Actual Weight: 0.9 lb. 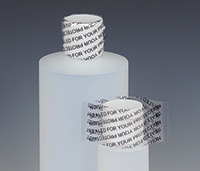 Creates a tamper-evident seal for bottles, jars, and pharmaceutical items. Clear band is printed with “Sealed For Your Protection” to indicate that container has not been tampered with. 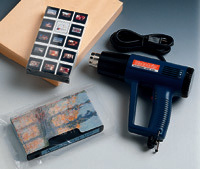 Use heat gun to shrink band. Band shrinks to fit cap diameter 2-1/2" - 2-3/4". Other shrink band styles also available.